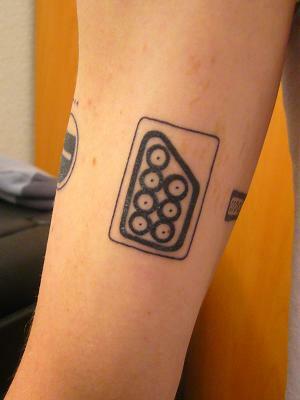 You may find a very few of these nerds sporting Nintendo tattoos, but believe me, the fever is catching up fast. They really look awesome, especially to you if you’re a gaming freak. You may find it hard to explain them, but who cares if they give you the needed kicks. The controller port above is looking cool and you may check a few more consoles including NES, Super Nintendo, Nintendo 64, and GameCube here. Where would you ink one?